Planning holidays on a budget at first sight might sound slightly discouraging for someone who have never done it before. I have to say that planning holidays on a budget is one of the most exciting things for me. Call me sad but finding a bargain always gives me a thrill. Do not let your budget restrict you too much, there is always an option to find cheaper ways of visiting your dream holiday locations. The only thing is finding it in time. First of all, determine what holidays you are interested in and where do you want to go. I have written a helpful article about that here. Book the cheapest flight possible by looking for them in private/incognito mode (stops cookies remembering your search and driving the price up). Try to find the cheapest flights through Skyscanner or/and Kayak. Additionally, if you are flexible with your destination check Kayak’s option called Explore. Explore shows you all routes from any airport to any city. You can adjust price and flight time. Be the first to know about all promotions by signing up for airlines newsletters. This little trick saved me over £500 in 2015 alone. The same goes for hotels! Travel light, believe me one week of clothing can easily fit in your hand luggage. Travel overnight to save on the hotel room. I managed to find a Megabus from Aberdeen, Scotland to London for 1 pound! Bargain! Only if my travel sickness would pass when I was a child. Here it comes another tip, check flights, buses, and trains. In addition, if budget is rather tight you can save on flights if you decide to explore and travel to place you live in right now. You will be surprised how many gems and touristic attractions you can find nearby. Consider the second most visited city in the country you want to visit; it will be slightly cheaper than the most popular one and still have incredible things to see and do. Consider going for a holiday during a few days after peak season finishes or during Autumn. You can also save on accommodation. Hotels in my opinion are the most expensive option, followed by hostels, Airbnb, and Couchsurfing. If you like to connect with local people, meet new friends Couchsurfing is great. However Couchsurfing is about the community, experiences, long talks, dinners, and connecting with people, not free accommodation. If you are not a very outgoing person, and want to stay alone consider Couchsuring some other time. If you are booking a hotel, check if your room has a little fridge and if there are any shops nearby. Little nibbles from the local market during the day will help you to avoid spending extra money while on the beach. I often buy bananas and water bottles from local shops. Avoid minibars, their margins are considerably high in comparison to the product value. 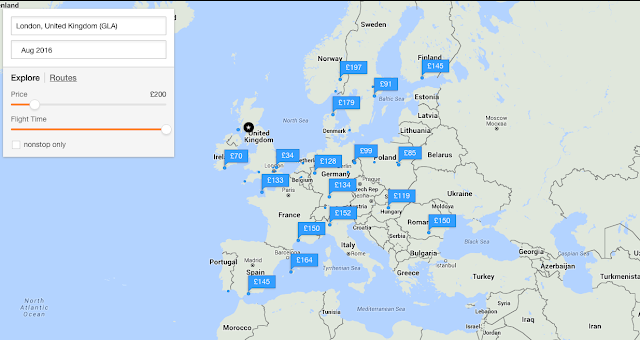 Would like to know more about booking cheaper accommodation? Return next week. What else do you do to save on travel? These are great tips for cheaper travel and are going to be super useful! Great post! I was well and truly bitten by the travel bug and I'm hopeless at finding cheaper travel. These tips have really come in useful!! This are really good tips. Unfortunately, I live in Australia so you have to catch a plane everywhere because it's so big and away from everything. The other week I spent $300 on a return ticket to Sydney which is only 1hr 15 away. :( Miss living in the UK where I could find a plane ticket for £50. Agreed with the last comment ): living in Australia makes travel super expensive - I paid AU$2400 (around 1300 GBP) just for my flights to and from Rome last year. But I had no idea that your browser preferences can drive prices up! Will definitely us incognito mode from now on - thanks for the tip! Unfortunately I have noticed this pattern with increased flight prices even for domestic flights. It's better now I am switching to an incognito. Great advice! Love other bloggers showing that travel doesn't have to be expensive and little things can go a long way! Hey, thank you so much! Travelling does not have to be a luxurious event. I am a strong believer that you can travel even if you are on a minimum wage.